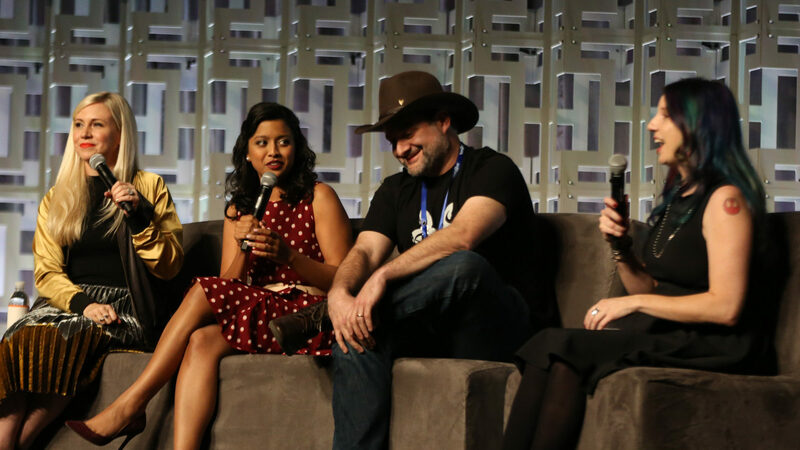 Ashley Eckstein, Tiya Sircar, Dave Filoni, and surprise guest Daisy Ridley discuss the legacy and future of female heroes in Star Wars. Princess Leia started a grand tradition of female heroes in the Star Wars universe — a brave, and scrappy young woman who could weld a hunk of junk back together, slay a Hutt, or direct a space skirmish with aplomb. 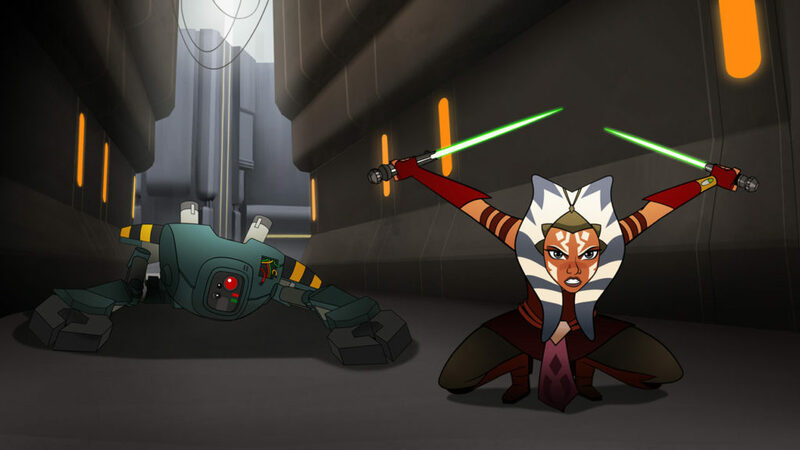 But there have been several heroines in the Star Wars universe in the years since, including the initially snippy Padawan and ex-Jedi Ahsoka, voiced by Ashley Eckstein, and the artistic Mandalorian warrior Sabine Wren, voice by Tiya Sircar. 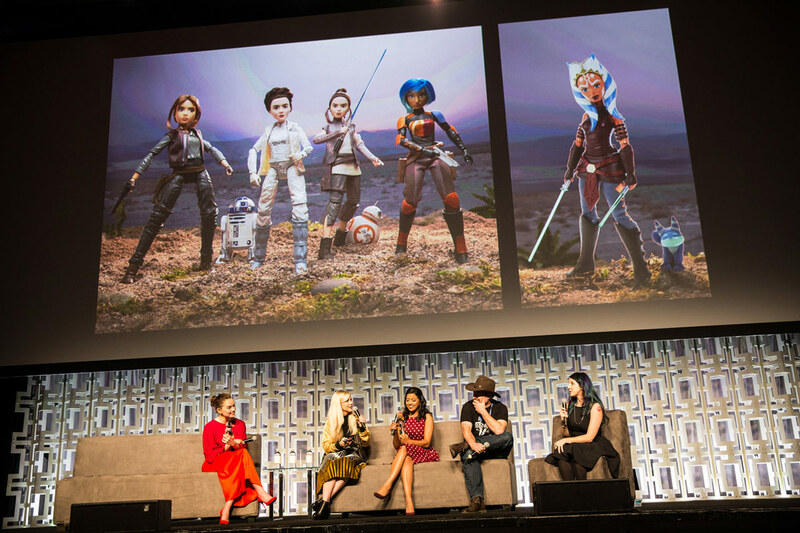 During Star Wars Celebration Orlando, the pair joined Star Wars Rebels executive producer Dave Filoni for a panel on the importance of female heroes and the future of the ladies of Star Wars, including a very special scavenger guest and a sneak peek at a new series of animated shorts that will explore some of their pasts. Here are five things we learned from their talk. 1. Worldwide premiere of Forces of Destiny! 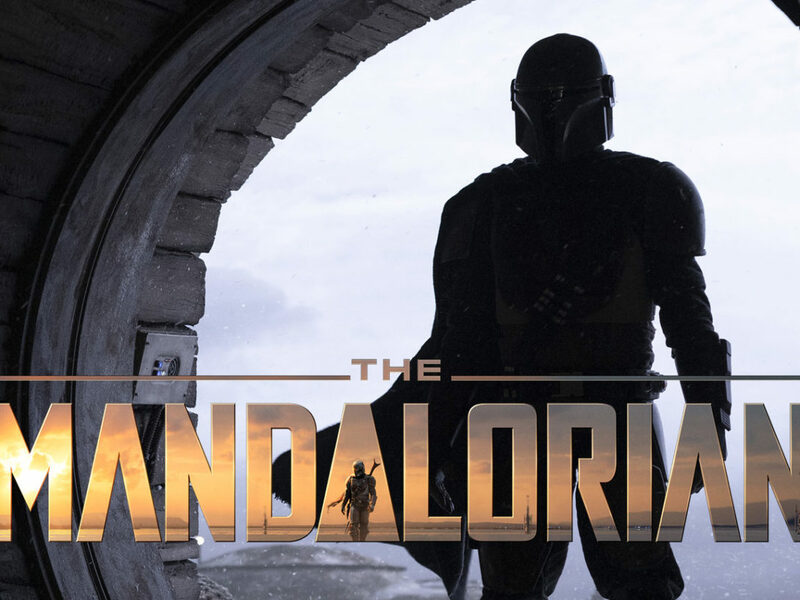 Viewers live-streaming at home didn’t get to see the short, “BB-8 Bandits,” although episodes of the new animated series are set to debut on Disney’s YouTube channel this July. 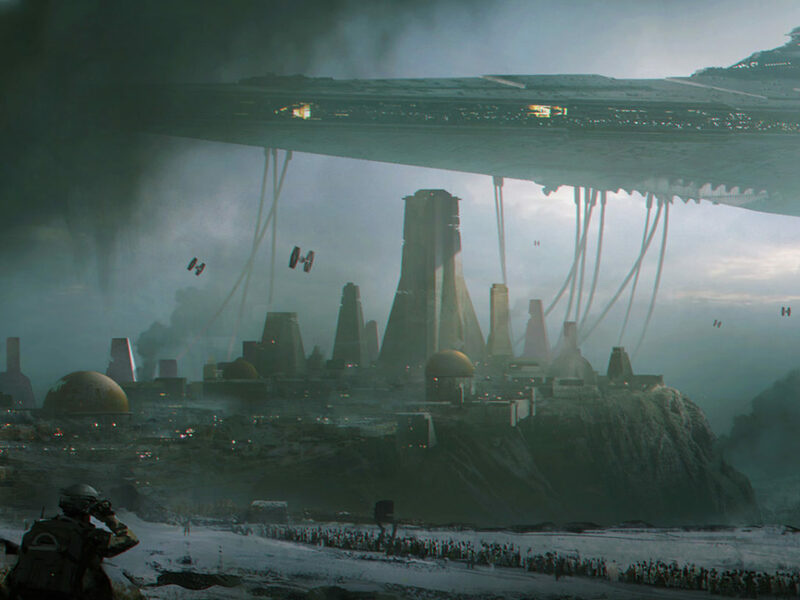 On Friday, the live audience saw the first clip, a new scene exploring the start of Rey’s friendship with the roly-poly astromech, as she rescues BB-8 from a brush with the Teedo and whisks him away safely wrapped in the net on her speeder. 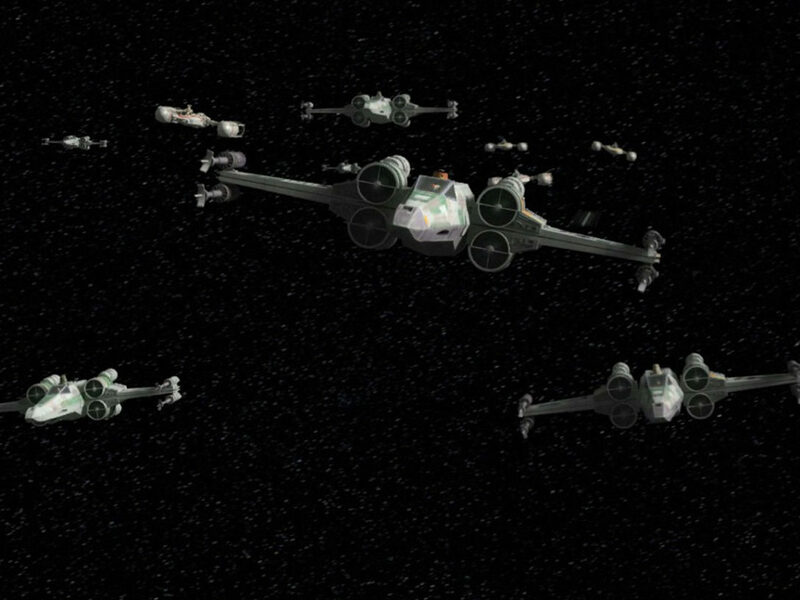 The episode is brief, in a fresh style that sets it apart from Star Wars Rebels and harkens back to animated cartoons before the computer-generated age. 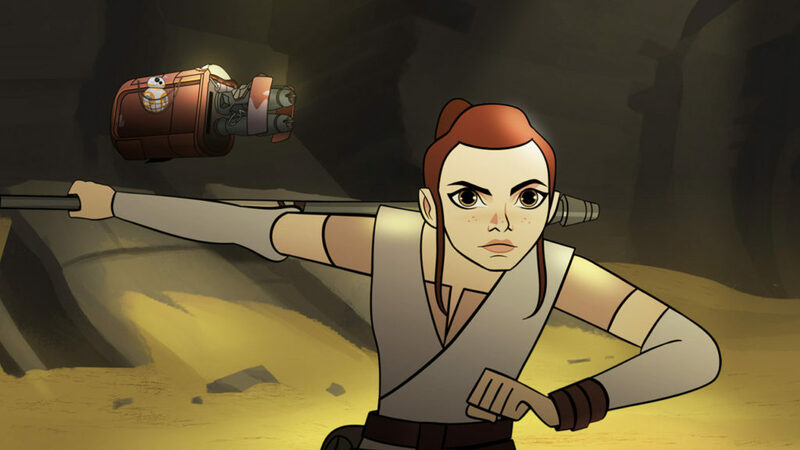 Filoni said the shorts will focus on “everyday acts of heroism,” with existing characters like Rey, Leia, Jyn, Ahsoka, and Sabine taking a front seat. Rey’s first short already delivered. 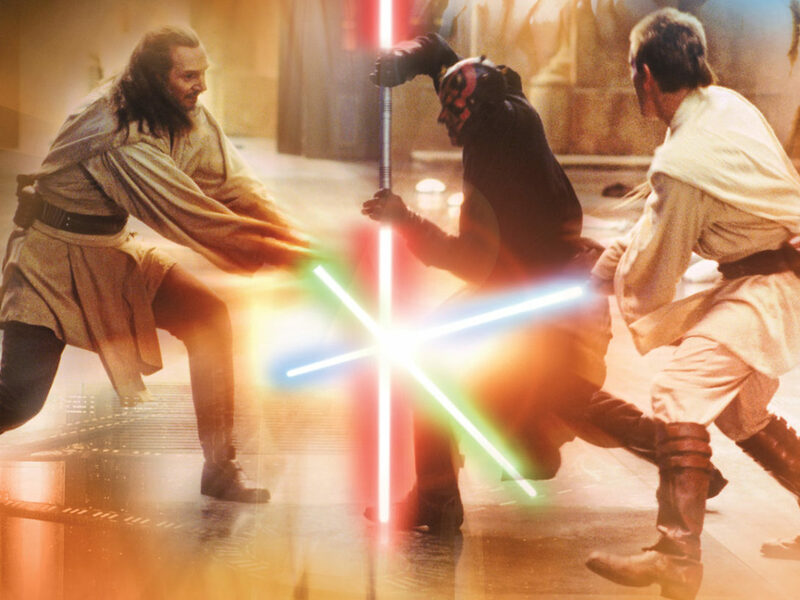 As she rescues the droid from the band of junk collectors, she shows off her fighting prowess with her staff, her tactical acumen to best the group even when she’s outnumbered, and her cunning in concocting a plan on the fly — ensuring that the last Teedo on their tail will need to find a new ride before he can bother them again. 2. A surprise guest — Daisy Ridley. 3. All the guests got to meet their plastic counterparts — except Filoni. 4. We have to thank Sandra Day O’Connor and the goddess Athena for their influence. 5. They’re hoping one day female heroes and stars won’t be such a shock. 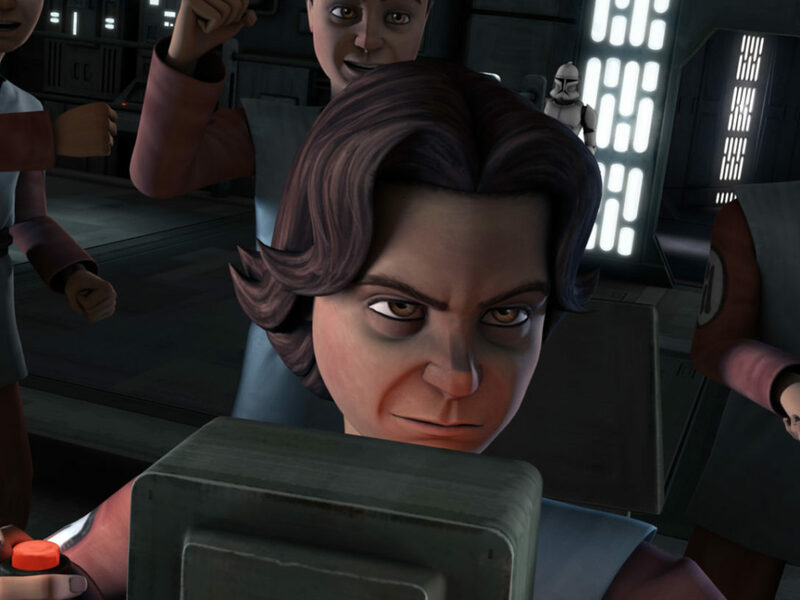 When Star Wars: The Clone Wars debuted in 2008, it was the first time a female Jedi was one of the main stars of the franchise. 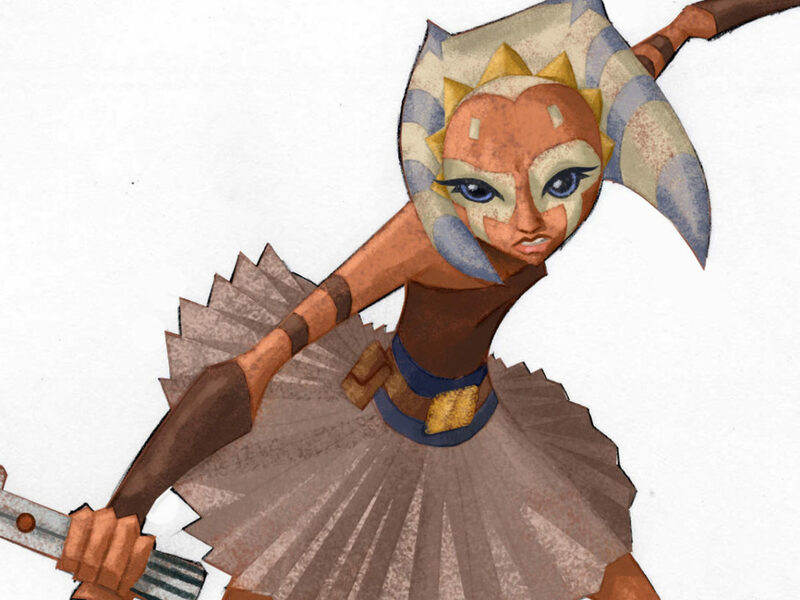 “Ahsoka at the time was groundbreaking. And it shocked people,” Eckstein recalled. 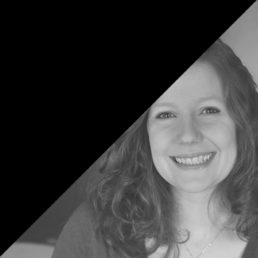 But she noticed that after that first introduction, her gender was never brought up again. 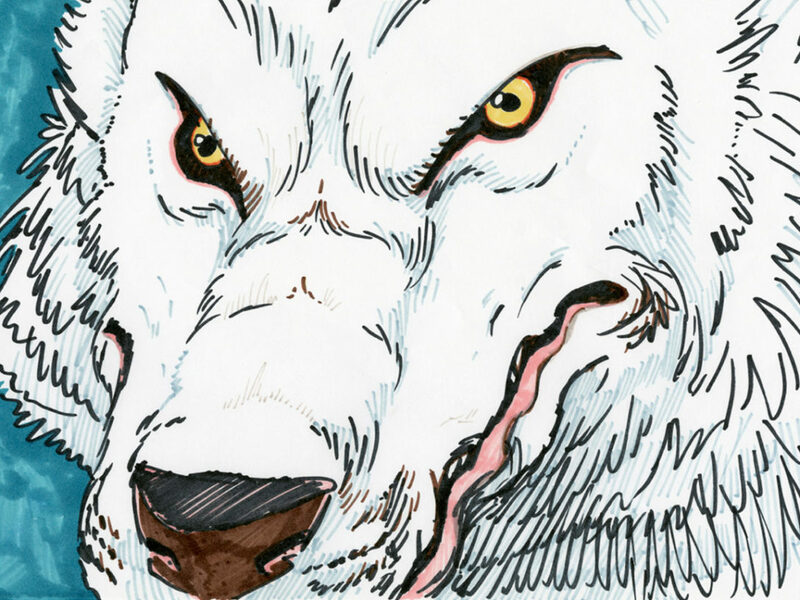 “They’ve just created a strong character and I feel like people don’t even see her gender,” Eckstein said. 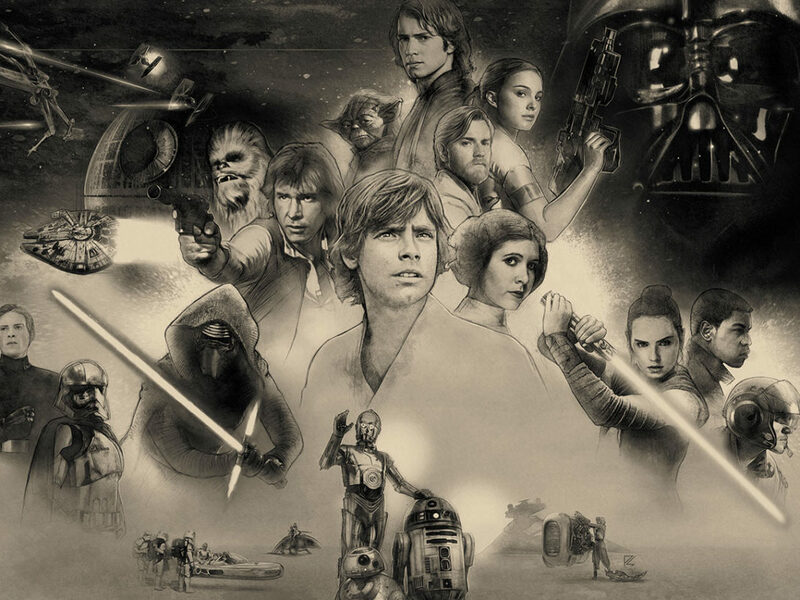 The franchise has continued to build on the idea, giving equal footing to young men and women on screen with a host of multifaceted animated characters that are strong, complicated, and cherished by the fans as much as Leia, Padmé, Rey, and Jyn on film.